Zdravo! 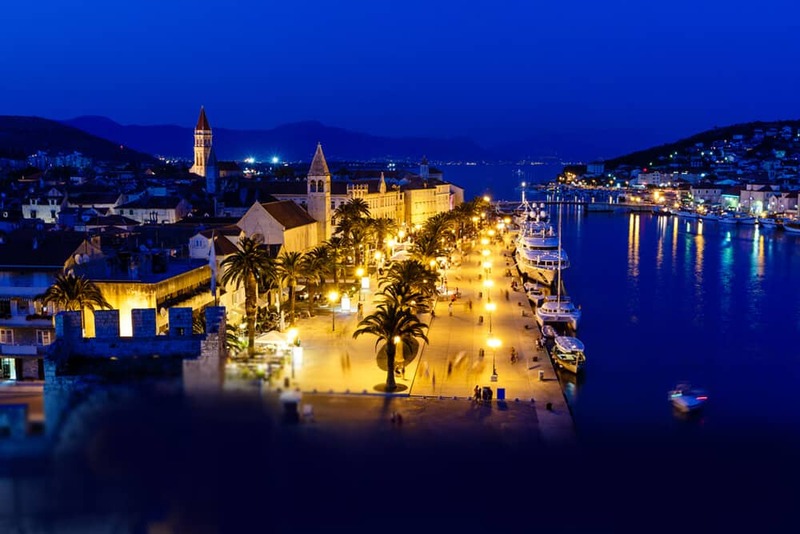 Are you planning to travel to Croatia to experience its rich culture and lifestyle? Want to teach Croatian to your children? Join our online Croatian language course and learn from our experienced native tutors through Skype anytime anywhere. Croatian is the official language of Croatia. It also enjoys official status in Bosnia and Herzegovina. The language is also spoken to a lesser extent in the Serbian province of Vojvodina. Are you wondering how you learning Croatian can benefit you? To start with Croatian is a beautiful language and melodious language with Slavic roots. If you have Croatian friends or family then learning Croatian is a good option. Also if your ancestors spoke Croatian then learning it will help you rediscover the roots. If you have business interests in Croatia then knowledge of the language will help you immensely. By learning the Croatian language you can gain a deeper understanding of the complex but unique Croatian culture and heritage. If you are planning to pursue your higher studies in Croatia then knowledge of language is essential. Also learning Croatian language skills will boost your employment opportunities not only in Croatia but worldwide because you can find sizeable Croatian speaking population in the United States, Australia and Canada. While travelling the country you can easily by speaking English or for that matter Italian or German because many youngsters can speak these languages here. But your ability to communicate with the locals in their native language will certainly bring a smile on their faces and it will also help you to make your stay in the country more enjoyable. Learn Croatian Online with our Experienced Native Teachers through Skype to increase your opportunities for carer, travel, business and friendship. Since Croatian language is mutually intelligible with Serbian, Bosnian and Montenegrin, knowledge of Croatian will enable you to learn these three languages with less effort. Additionally, if you speak German or Italian, you may find Croatian easier to learn because of the similar vocabulary. Finding resources such as books and CDs for learning the Croatian language can be difficult than it is for some of the popular languages. So a better option is to take online language coaching. Join our online language course that offers ultimate flexibility through Skype and learn Croatian in an easy and effective way. You can choose lesson times according to your convenience and learn online from any location. By joining our online course, you work one on one with a professional native tutor who customizes your lesson according to your learning needs and objectives. Learning a foreign language isn’t easy, but our flexible online learning could help simplify the process for you. You can now take Croatian classes one-to-one using Skype with a tutor of your choice. Our Croatian lessons are custom, effective, comfortable, and fun. Pick a tutor NOW! Choose anything specific. Whether it is conversational Croatian classes, business Croatian lessons or just learning how to greet and impress a loved one. We can help you with them all.